This has not been a good week in pregnancy land. I was just diagnosed with gestational diabetes – Scary Stuff! I’ve only gained 13-15 pounds since getting pregnant. I have been exercising fairly consistently and have felt pretty decent, particularly in the last couple of weeks. I’ve had my pregnancy moments, but overall have been able to maintain my previous energy levels and felt like I was doing pretty good for 29 weeks. Hearing I had gestational diabetes was a huge shock. 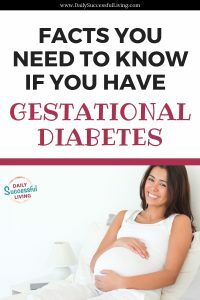 Since being diagnosed with Gestational Diabetes I’ve spent a lot of time researching, speaking with my doctors and have a much better idea of what having gestational diabetes means. It isn’t the death sentence I originally thought it was. Yes, it is scary, but here is the deal, with careful management most woman can control gestational diabetes naturally. It takes a lot of work and you’ll have to monitor your eating, but you can do it. Rather then focus on the negatives, your job is to focus on the positives. Because you have gestational diabetes you are going to find yourself eating super healthy which means minimal weight gain. When it get tough picture your baby and remember that in the end it will all be worthwhile! Gestational Diabetes isn’t about how “healthy” you are, it is about the placenta’s reaction to insulin. I could have been eating perfect and still would have gotten gestational diabetes. It isn’t my fault I have Gestational Diabetes and it isn’t your fault either! Gestational Diabetes isn’t a life sentence. Yes, some women do end up developing diabetes later and I’ve got a higher chance of getting it later. However, I know now I’m prone to diabetes which means I can prepare and hopefully prevent by incorporating the new healthy eating skills I’m learning. Exercise is one of the best things I can do for my body right now. Being active really, really helps with gestational diabetes. I like to stay active, so this just gives me one more reason to get out of bed. Diabetes isn’t about cutting out all carbs, it is about decreasing carbs and pairing them with protein. It is about eating lots and lot of veggies. I can do healthy eating. If I control my sugar levels, my baby won’t even know she was in danger. Lack of sugar level control can be a serious issue and lead to high birth weights (not my idea of a good time) and potential sugar issues for the baby. 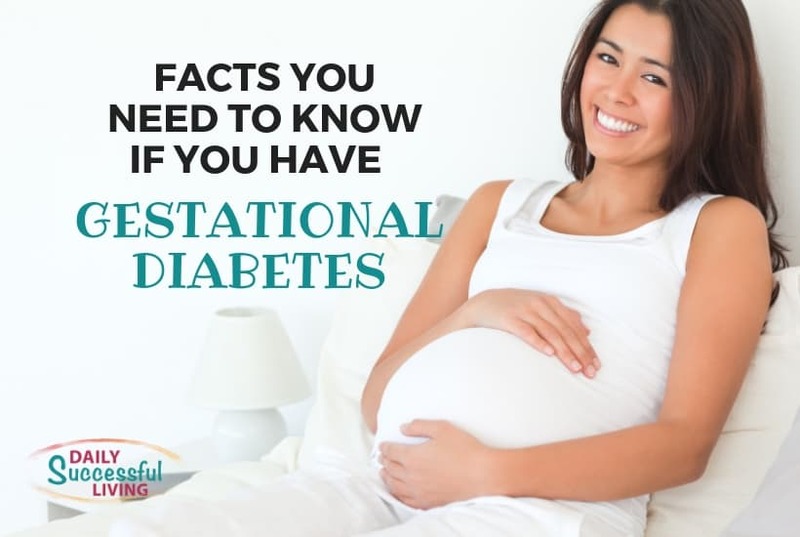 Most women, can control their gestational diabetes naturally through diet and exercise. So at this point, I’ve calmed down a little bit. I’m still nervous and scared for my baby, but I don’t have the same sense of crushing fear that came with the initial diagnosis. I’m not looking forward to some of the eating changes I’ll need to make – I really like chocolate, but overall I’ve always eaten fairly healthy, so I’m hoping a few small adjustments will be sufficient to keep my blood sugar level intact. I’m now 9 months post baby and gestational diabetes wasn’t the horrible monster I thought originally. Because of my experience with diabetes, I’ve revamped my eating habits completely. I thought I was healthy before, but now know that I was very deficient in protein. I loved my carbs just a bit too much! Because of my gestational diabetes, I ate healthier, exercised more and listened to my body during my pregnancy. Although it was a hassle at times to eat the balanced meals, I personally feel that it was a blessing in disguise. One of the best things I did was go on a modified Paleo Diet. I was really struggling to find ways of incorporating protein into my diet. I really struggled with this aspect of the plan. After reading this post I had a reader reach out to me and share the Paleo Diet Meal Plan Program. After doing a bit of research I can see why she liked the program so much. The Paleo Diet is high in protein and the meal plans are geared specifically to increased protein consumption. Finding new and fun meals was the worst part of Gestational Diabetes in my opinion – much worse than those stupid needle sticks. Oh well, hopefully, this tip will help some of you guys! I know that most of you reading this post are stressed to the max, you are scared for your baby and worried about how you will handle your new diet. I want to offer you my encouragement and love. Listen to your doctors, do your research, find alternative foods that will help you manage your sugar levels, exercise and stay active. I did a lot of walking and yoga and believe that both really helped with my sugar levels. I did a couple different Yoga videos but liked Yoga Pregnancy best. It was pretty simple in the beginning, but by the last 2 months was right about my speed. If you are looking for gestational diabetes support, I highly recommend joining a couple of facebook groups. Just be aware that there is a lot of misinformation shared online. More than anything don’t give into depression or anger. This isn’t your fault, sometimes our bodies just respond differently to pregnancy. I found that doing yoga really helped relax me and kept me from feeling sorry for myself. Trust me when I say that all of the sacrifices will be worth it when you hold your little baby in your arms. You can do this! Editors note: I created my own Gestational Diabetes Sugar Tracking Forms (I didn’t like the one my doctor supplied). I sell them on Etsy for a few bucks, but if you are tight on money and want one drop me an email and I’ll send you a free one. PS. Before having your baby check out my post on The Most Important Step to Sleep Training Your Baby – Trust me, you want to read this one. Ella and I a few hours after she was born. 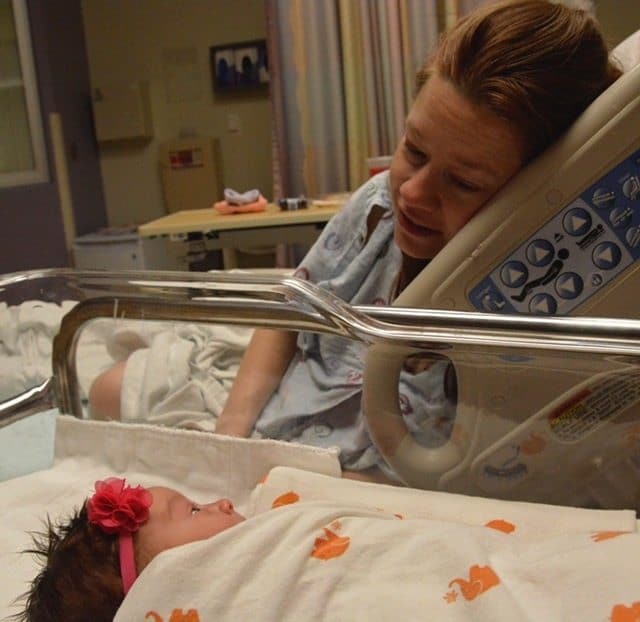 She was 6.9, born one day before her due date with perfect sugar levels. 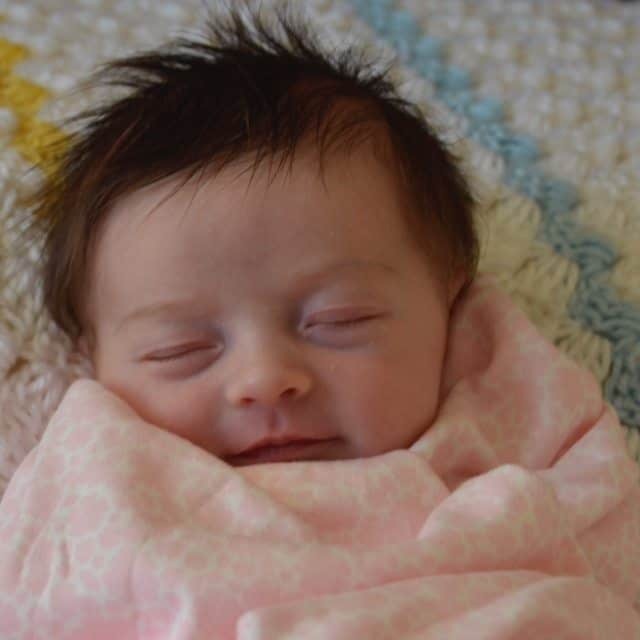 Ella at one week. I know I’m biased, but I think she is the most beautiful baby ever! Thanks for this post! I just found out about 15 minutes ago and I was pretty bummed! Jumped on Pinterest and found your post and it was very encouraging! My eating habits have NOT been the best this pregnancy but I’m ready to turn that around and keep a positive attitude about it! You can totally do it! I’m not going to lie and say it is easy, but honestly it was one of the best things that happened to me. Getting Gestation Diabetes forced me to be healthy which I really needed while pregnant.